Well, it’s my final night here in America’s 49th state. In my mind, it’s the 28th as that’s the number it represents in my personal goal to play all 50. There’s still plenty of daylight tonight and I’ve become accustomed to the crazy hours here during Solstice week, so I figure I’ll just power through with my reviews so I can relax and enjoy my flight home without worrying about all the writing I need to catch up on! 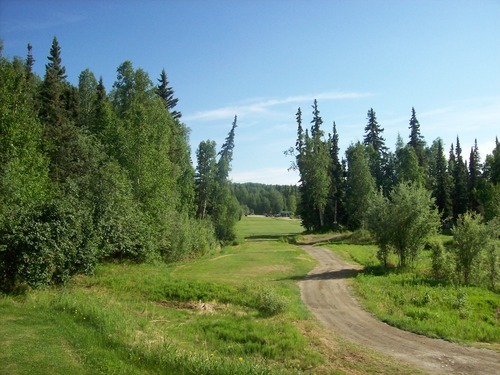 Let’s go back to yesterday, when I ventured all the way up to Fairbanks to check out a couple courses there and enjoy the longest day of the year in the northernmost place I’ve ever been to. First, it’s a very long drive between Anchorage and Fairbanks. It’s a good six hours and seems longer than that with some slow two-lane highways and a lot of summertime construction on the main roads connecting the state’s two biggest cities. On the drive up yesterday morning, I was wondering if it was a wasted idea. When I originally started planning this trip, I was mistakenly under the impression that, though the days were long here in Anchorage, it wasn’t quite light all night. 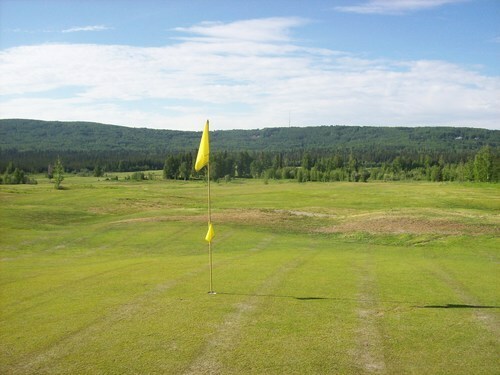 I thought I had to go further north to experience true midnight golf conditions. As it turns out, I was quite wrong. 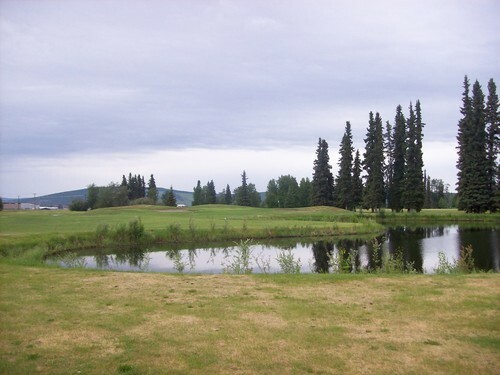 I figured it out a couple weeks ago once I started calling around to all the courses, but I still decided to leave one night in Fairbanks into the plans. Part of the reason is I figured it would give me a chance to see more of Alaska than just Anchorage, especially considering the highway rolls right along the edge of Denali National Park. Parts of the drive were quite boring, but there is some spectacular scenery along that stretch. I stopped by the visitor center today along the drive back and did the 5-cent tour. 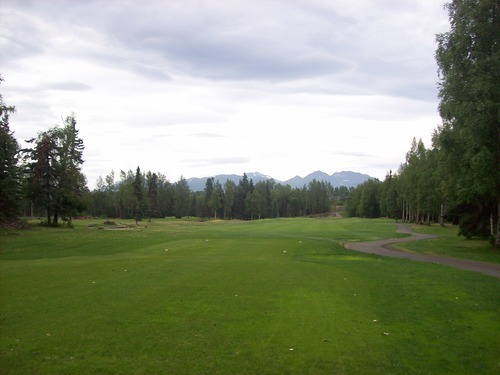 I wish I had an extra day just to devote to exploring the park and seeing some of the famed Alaskan wildlife that was nowhere to be found on any of the courses I played. 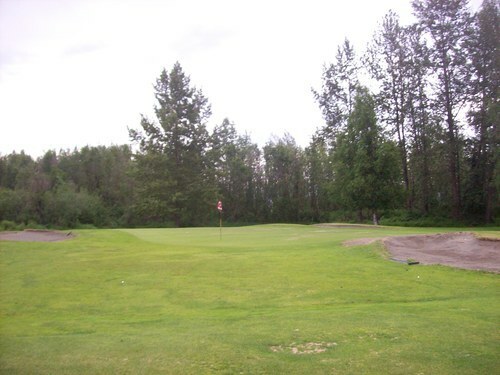 There are three courses up that way, with two being full 18-hole regulation tracks and the other (Fairbanks Golf Course) being a local 9-holer. I didn’t end up playing that one, but I did get the other two in while there. I rolled into town around 1:30 and then headed straight over to the course. I knew Chena Bend was actually on the Ft. Wainwright Army base, but I didn’t know all the protocols. The directions I had from Google led me to the eastern gate, which is closest to the course. Unfortunately, I had to circle all the way back around to the main gate to get my civilian pass. It was a bit of a pain, but no hassle with the admittance process at all. As I was getting into Fairbanks, the weather turned and it started raining. It was another thing making me question such a long side trip. 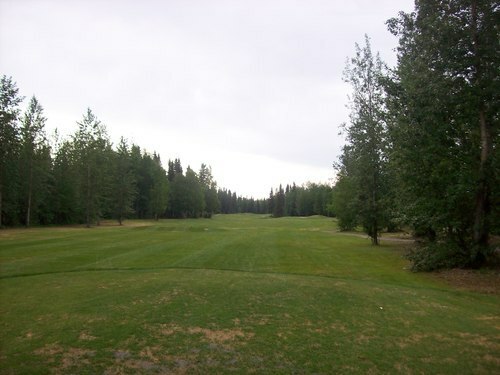 When I finally got to the course, I could see it wasn’t crowded. I had no problem getting out. $47 civilian rate with a cart, so not bad. With the rain/drizzle and the billions of mosquitoes it brought out, I rushed around the course as quickly as I could. I played through a couple groups along the way, but they were kind enough to let me run through. 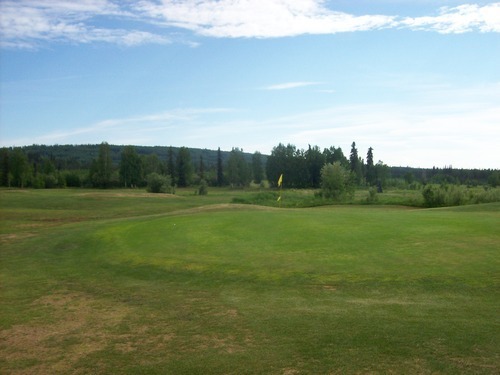 Chena Bend is at or near the top of all Alaska golf lists I’ve seen, so I figured it was worth the side trip. I’m not sure it quite was, but it is an enjoyable course. 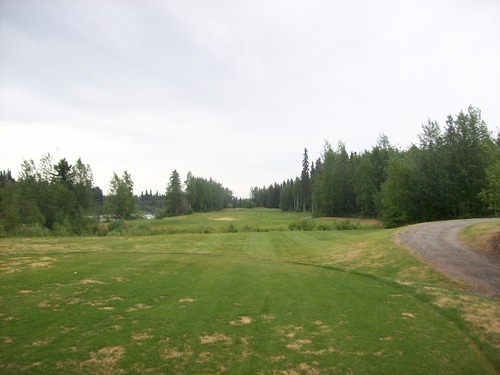 I was really disappointed in the first few holes which run along the main road and the big airstrip on base. They were flat and uninteresting. 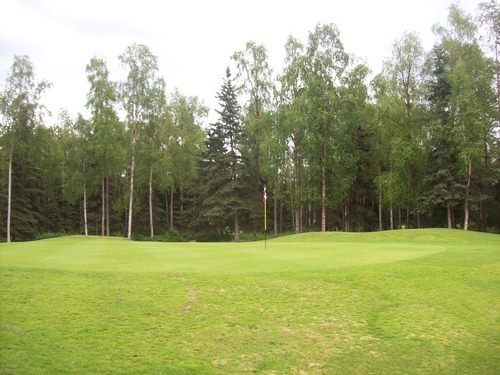 But by the 5th hole, you head into the forest and you don’t see any of the base after that other than a few finishing holes by the clubhouse. 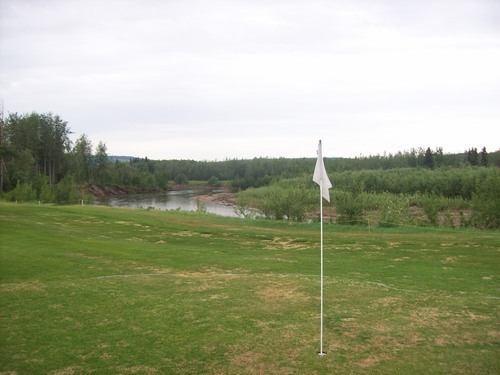 The course winds its way along the Chena River that runs through the middle of the base. 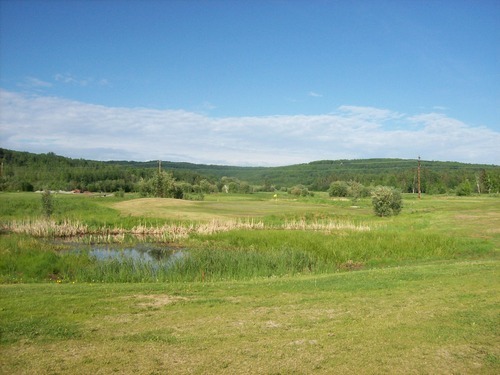 Several holes play across it. 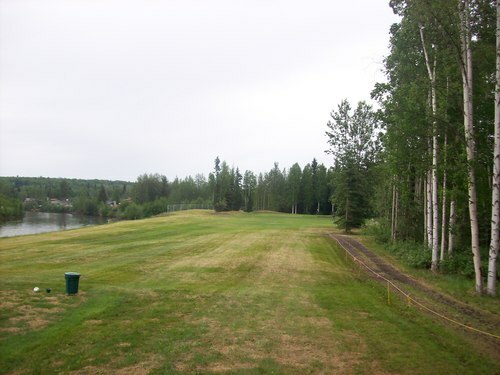 Otherwise, this is a nice “forest” style course with plenty of trees lining all the holes. 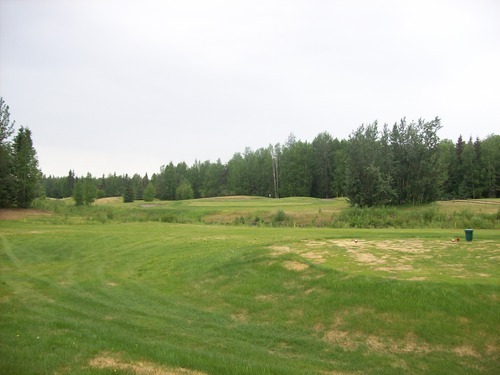 Though the course is pretty tightly fit in the small property, the trees separate the holes well and create a nice secluded feel. There isn’t much scenery around the course. Fairbanks itself is not terribly scenic compared to everywhere else I’ve been. There are a lot of dogleg holes here, but most of the layout is pretty forgiving from tee to green. 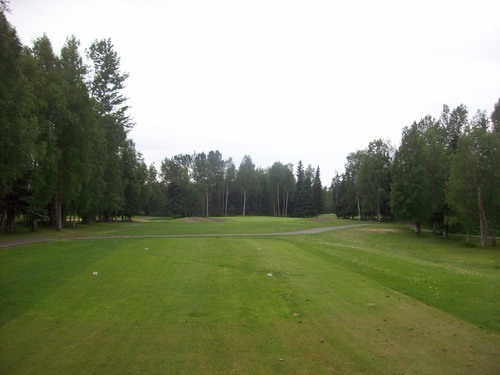 As I learned on this trip, Alaskan courses are pretty straightforward, forgiving and not too “tricked out” in terms of design elements. It suits the more casual brand of play here, but I think it also makes them easier to maintain over the course of a very short golf season. 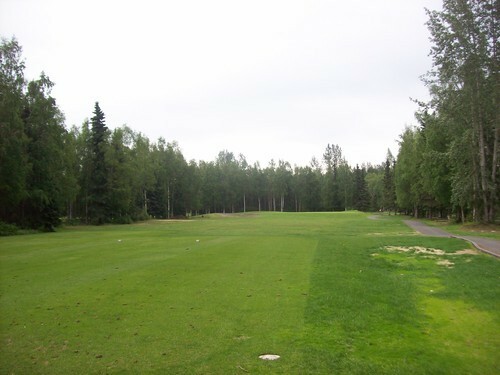 The conditions on Chena Bend were pretty solid relative to everything else I’ve played this week. 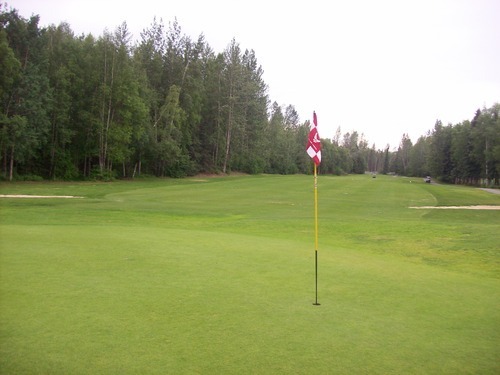 The fairways and rough were decent and the greens were pretty good for the most part. 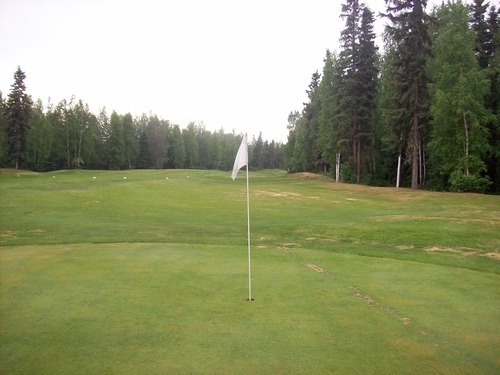 Plenty of brown patches, but very playable. Not great by “back home” standards, but very good for Alaska this time of year. Around here, everything’s relative as you’ve seen. 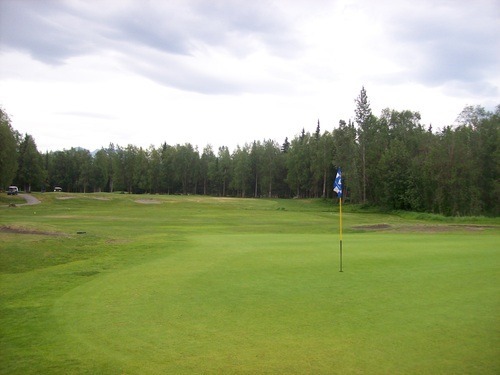 Chena Bend is a solid course and I thought the layout was good. Was it worth driving six hours out of the way for? Probably not, but when in Fairbanks it’s definitely the best option around. 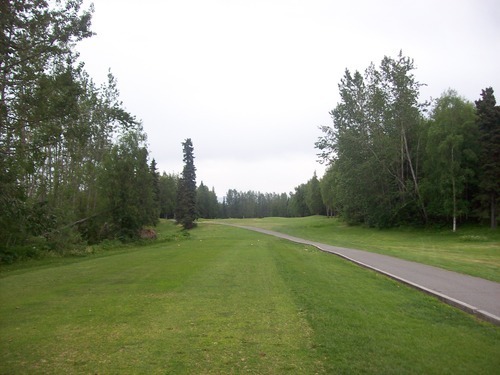 By the time I was finishing at Chena Bend, the weather was starting to clear up. I headed from there straight over to my next course and the skies were nice and sunny by the time I got there. Like Chena Bend, there was some appeal to play North Star, as well, in order to justify the side trip up to Fairbanks. Why? 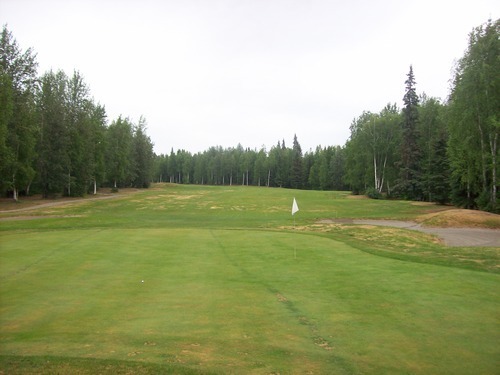 Because North Star is officially the northernmost USGA-rated course in America. They clearly quantify it with the “USGA” line on all their marketing because I believe there are other courses north of there, but they don’t qualify in the eyes of the USGA. Semantics, semantics. Whatever. I can at least say I played it. Other than that claim, this course leaves a lot to be desired. When I got there, the place looked dead so I had no problem getting out quickly. It was surprisingly expensive at $64 with a cart, but that was because they charge a full cart fee for a single rider. In other words, the green fees were $35, but the cart was $29! It’s a bummer, but I was too tired to walk at this point in the trip and it’s kind of understandable with the gas-powered carts they use since the same amount of fuel gets used either way. 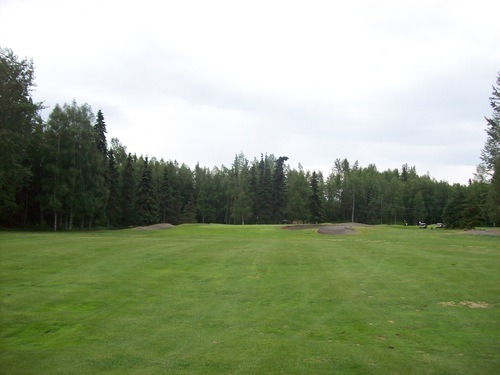 Though there were a few scattered people out on the course and more people showed up after I teed off to take advantage of the sunny skies, I never ran into a soul in front of me and I zipped right through without delay. 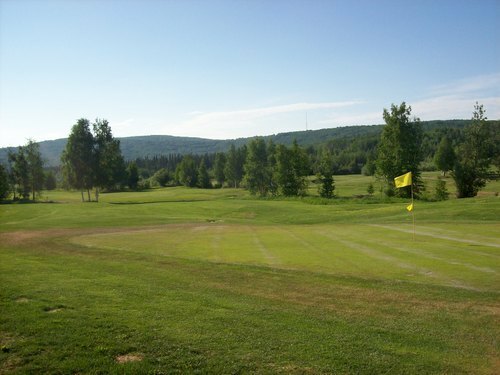 I guess you would consider North Star a “links” course and it could be a decent one if the conditioning and terrain were better. It’s more or less a big pasture of old farmland that they kind of cut some holes into. 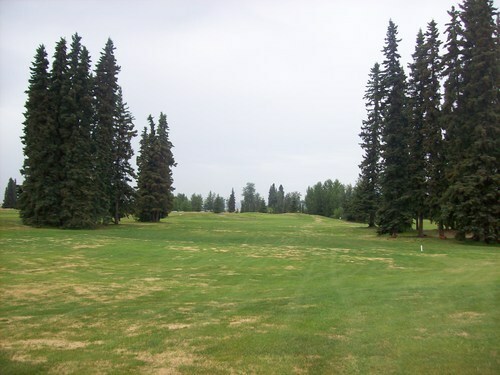 Throughout the fairways and rough (which don’t have much distinction), everything is very bumpy and disheveled, so good lies are few and far between. 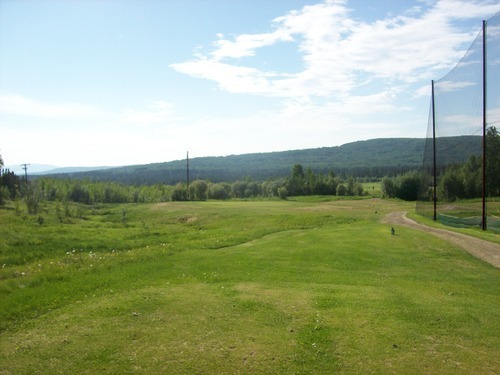 Most the holes are pretty wide open and it’s sometimes hard to know where you are hitting to. 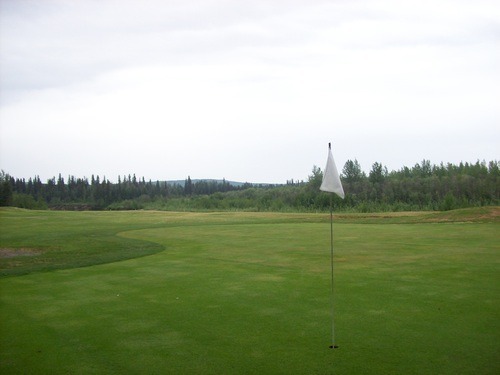 There are several tee boxes where you can see at least 5-6 different flags and you aren’t quite sure which one is for the hole you are on. 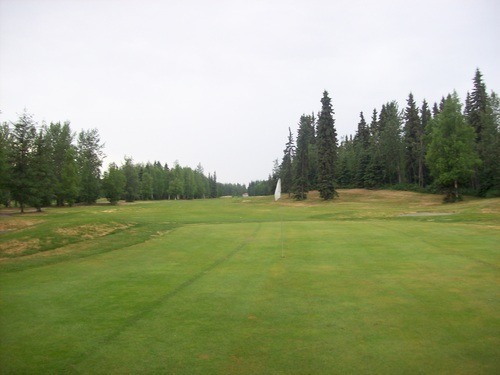 Without any clear distinction between fairways and rough, you just have to make an educated guess. The greens were not horrible, but still pretty sandy and bumpy. Early on, I was really disinterested in the course, but it did grow on me a little bit. Toward the end of the front nine, the holes start to make a little more sense visually and then the back nine is solid. 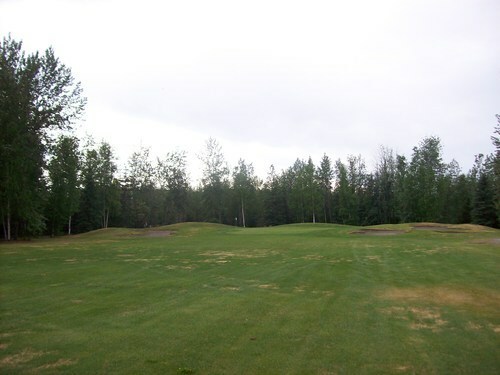 Though most of the course is very wide open, there are a handful of holes that have trees in play and form some of the tightest tee shots you’ve ever seen. From the blue tees which I played, the 9th hole has one of the narrowest openings I’ve ever seen. High hitters might try and go over the trees, but lower hitters have a very small window to work with. It’s not that long a hole, so better safe than sorry off the tee here. 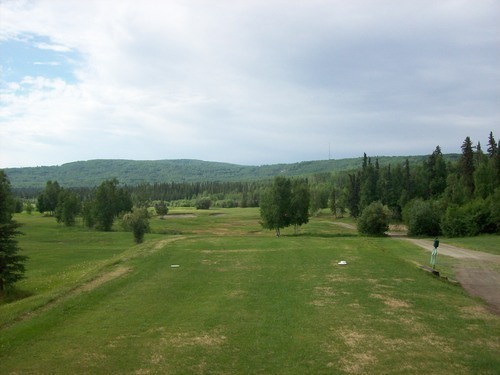 Then there are a couple on the back that aren’t quite as intimidating, but still offer pretty narrow chutes off the tee. These few holes really stick out as being so much different from the rest of the course. The atmosphere is very laid-back and though it is mainly a “locals” course, I did see and sign the guestbook in the pro shop. There were people from all over the world in there, so its “northernmost” claim does have some appeal to travelers. Otherwise, that’s probably the most intriguing thing about the course. It could actually be a solid layout, but it can’t be easy to maintain with the climate there and I’m sure they have a pretty limited budget. I’m amazed they can keep it open at all. One other interesting thing about North Star that also caught my attention and made me want to play there is that they have an animal sighting checklist on the scorecard. Having not seen any neat wildlife on this whole trip other than mosquitoes (though I did see a pretty big and very cute groundhog at Chena Bend earlier in the day), I was hoping North Star would deliver. Sadly, it didn’t. Muskrat, coyote, moose, bear, eagle and fox are some of the species listed on the card. There was a small flock of sandhill cranes hanging out by one of the ponds and their was a property with some horses next door, but that was as exciting as it got. I have to say I am very bummed about the lack of wildlife sightings on this trip. I am thinking about heading over to the zoo tomorrow morning before going to the airport just to see one moose this week! I spent the night in Fairbanks. I figured there would be some interesting things going on in town for the Solstice. I guess Sunday they have their big festival downtown. There was a small little festival near the hotel I was staying at and the big event is the midnight baseball game featuring the local minor league team. It’s definitely a big draw. Normally, that would be right up my alley, but I wasn’t feeling quite up for it last night. If it was closer to my hotel (as in walking distance) I might have strolled by for an inning or two. Oh well. Note: Unfortunately, this course is now closed. 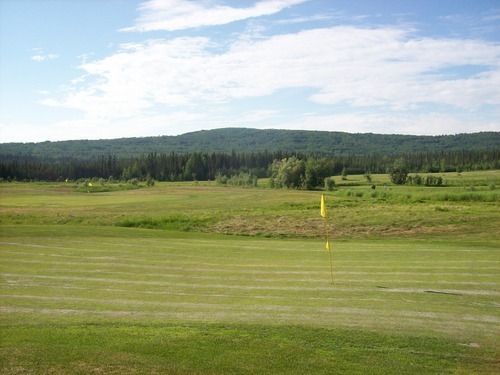 For the finale of my trip, I had signed up for a Midnight Sun tournament at Eagleglen. Like the one in Palmer I played Thursday night, this one also started at 6:00 (which is way too early for a “midnight sun” event if you ask me) and was a scramble format. This one was a four-person scramble, though, but still plenty of fun playing with the locals. I had registered and paid for the tournament in advance. I don’t remember what I paid, but I thought it included the green fees. It didn’t, so I had to pay more at the pro shop ($49 civilian rate). It ended up being an expensive round all-told, but they did have quite a collection of prizes. They handed out plenty of cash for team scores, closest-to-pins and long drives, along with a bunch of new equipment (clubs, bags, apparel, etc.) in a raffle drawing. I won nothing, but I still had fun. The entry fee also included a nice custom golf shirt commemorating the event, a hat, a sleeve of Nike balls and a tasty dinner buffet after the round was over. It was a very nice spread overall and I never felt out of place as an out-of-towner. 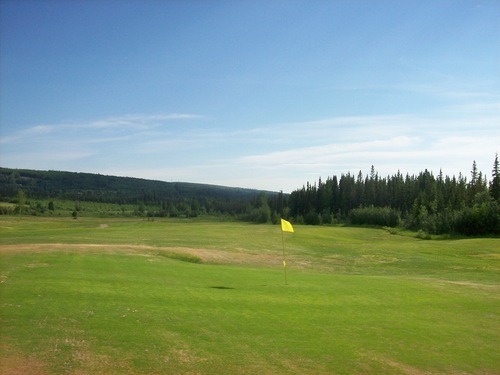 You’ll remember I played Moose Run, the other JBER (Joint Base Elmendorf-Richardson) courses on Wednesday. 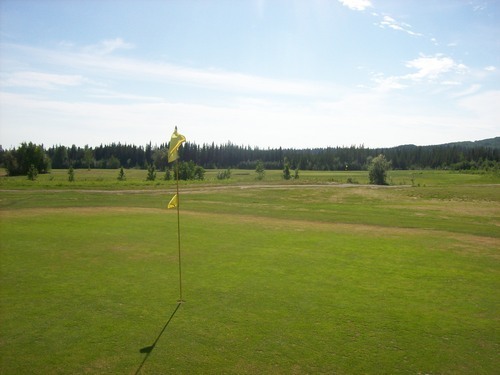 Eagleglen is also a military course and is located on the outskirts of Elmendorf AFB. 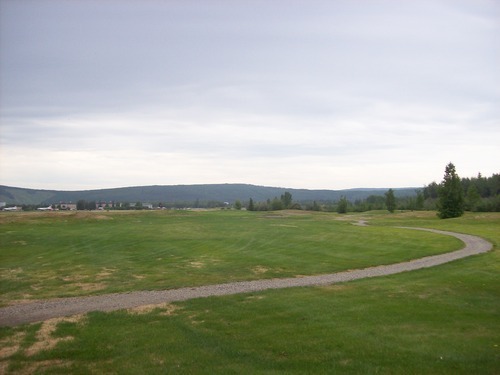 The public is welcome here and no civilian pass is required to get to the course. 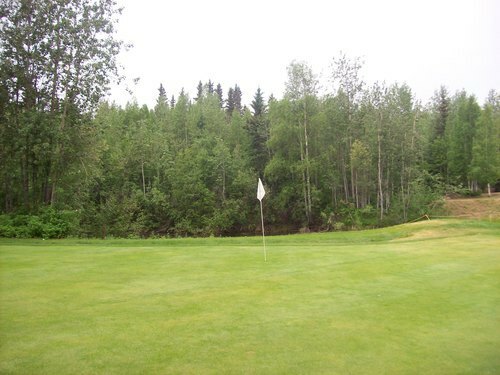 Eagleglen has a bit more pedigree than any other course I played here in Alaska. It was designed by famed course architect, Robert Trent Jones, Jr., and it probably has the best total 1-18 layout I experienced on this trip. Like others, it’s pretty forgiving off the tee, but the greens are trickier and the overall strategies from hole-to-hole are more interesting. Positioning is key on many holes and there are some great risk/reward options that make it feel like a more championship style course compared to everything else here. One of the guys in my group works at the course and he was telling me about all the condition issues they’ve been dealing with since last year. 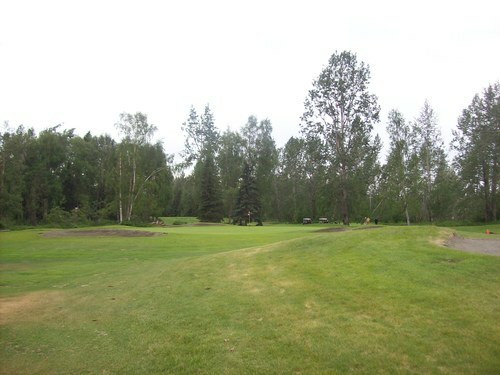 First, they had a massive wind storm and lost hundreds of trees throughout the course. Then shortly after that, they had a massive “500 year” flood that wiped out some areas of the course. It was the same flood that did lots of damage at Moose Run as the same big creek runs through both courses. 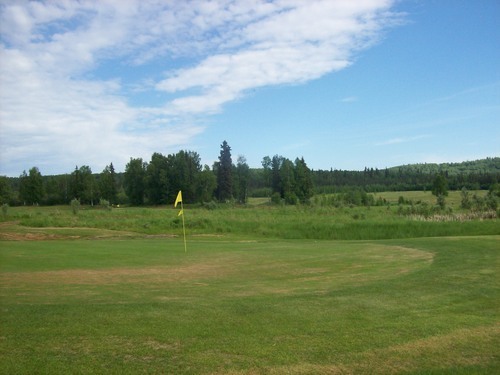 The most notable damage at Eagleglen is on the 15th hole and the 18th hole. 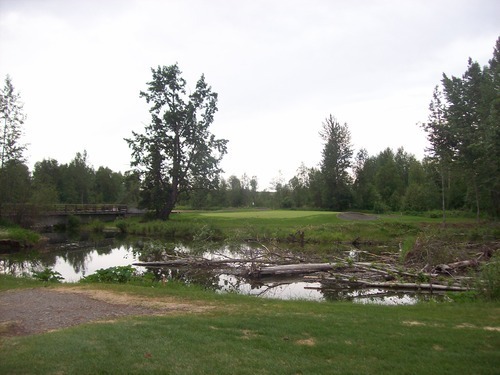 The 15th used to be a par-5, but the entire tee areas were completely washed away with the flood. 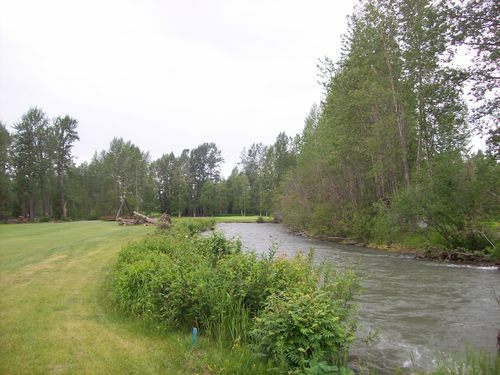 In fact, the creek now flows directly through that part of the course when it used to go around it. For now it plays as a shorter par-4. The 18th is still a great hole, but I can tell it was an even greater hole before the wind knocked down the big tree. This hole is a great par-5 finisher that offers a great risk/reward opportunity for long hitters (and even medium hitters). 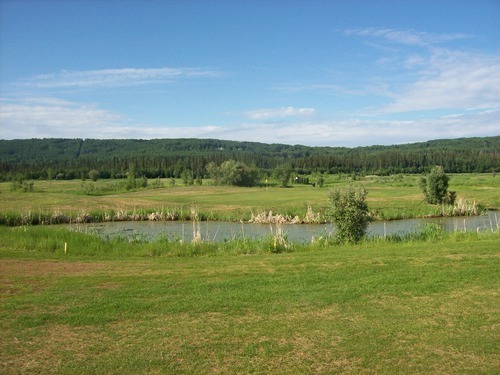 It’s a sweeping dogleg right with the creek running all along the right side of the fairway. 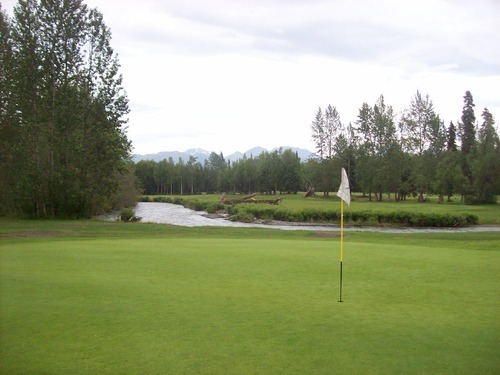 Then the creek cuts across and in front of the green. As it is now without the big tree, it’s a wide open second shot to provide even more temptation. Before, the tree guarded the right edge of the fairway. 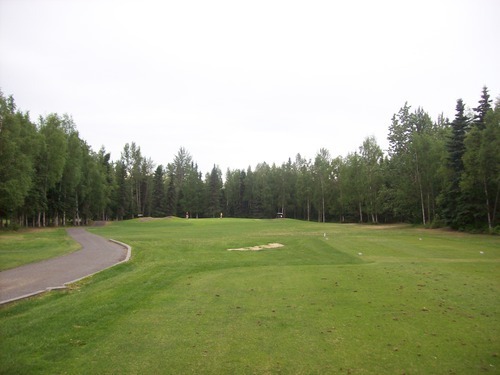 If your drive wasn’t far enough left and out there quite a bit, you’d have to shape your shot around the tree to hit the green in two. It would definitely be a more compelling hole the old way, so that’s rather sad. It’s still a beautiful and fun hole with the rushing creek running through it. Other than a lot of downed trees and debris still around the edges of the course, Eagleglen was in pretty nice shape. 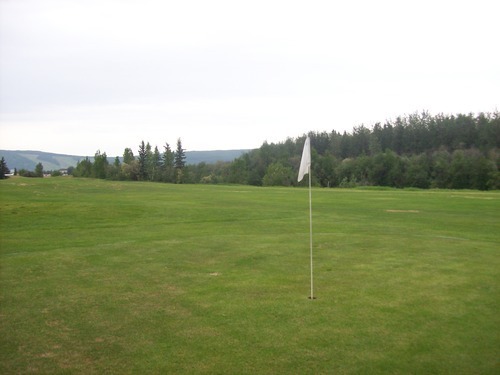 The fairways and rough had good grass coverage. Things were a bit damp because it was gloomy and drizzly most of the evening. The greens were quite good. A few were still pretty nasty, but most were looking good and rolling smooth by Alaska standards. It looks like I saved the best for last. I wouldn’t put Eagleglen as the “best” on all levels, but overall I’d say it was the winner of the trip. 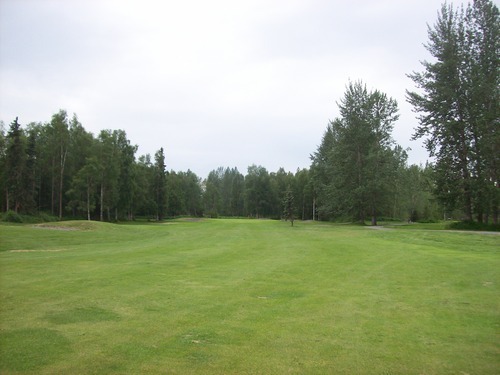 Settlers Bay and Anchorage Golf Course would be in that conversation and all had a few shortcomings, but Eagleglen probably grades out at near the top when you average out all the elements. Still, give me a few days when I get home to digest everything and I’ll post my final recap/awards during the week. 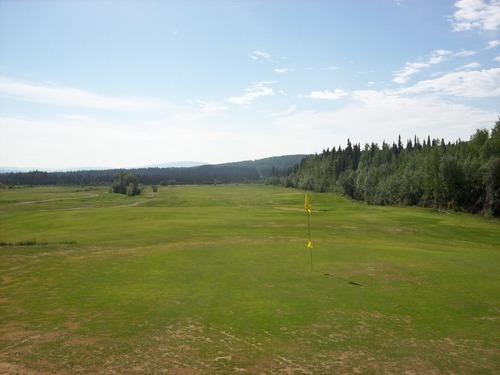 AK, Alaska, Alaska Golf, Anchorage, Chena Bend Golf Course, Chena River, Eagleglen Golf Course, Elmendorf AFB, Fairbanks, Fort Wainwright, Golf, Golf Course Architecture, Golf Course Photography, Golf Course Photos, Golf Course Reviews, Golf Courses, JBER, Joint Base Elmendorf-Richardson, Military Golf, North Star Golf Club, Robert Trent Jones Jr.